In the early morning hours of January 6, a Russian airbase in Syria was bombed by homemade drones. Russian forces came under attack by a “massive application of unmanned aerial vehicles”, says the Russian Ministry of Defence. 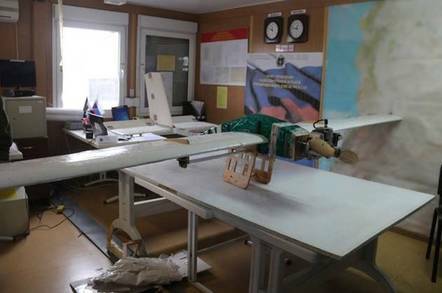 According to reports, 13 small drones descended on Russian forces, but none of them did any significant damage. Seven were destroyed by anti-aircraft defenses and the others were brought down using electronic countermeasures to hijack or jam the drone’s controls and land them intact. The captured aircraft seem “crudely made,” with a wooden undercarriage and plastic sheeting, and powered by a small liquid-fuel engine. The drones carried several locally made bombs fitted with 3D printed plastic fins under their wings. The Russian Defense Ministry has reported that the swarm of GPS-guided drones carrying improvised explosives were very high-tech. Ten of the 13 drones aimed themselves at Russia’s Hmeymim air base and three more headed for a logistics and supply base near the Syrian city of Tartus. According to the Russians, six of the drones were owned by an electronic warfare specialist and diverted from the attack. Of that six, three were successfully collected for examination but the remainder detonated after landing. The Russians report the other seven were blown up midair by a Pantsir-S anti-aircraft missile system. 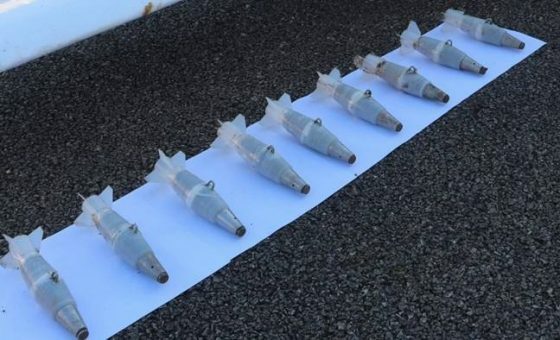 While the home-made bombs look authentic, the drones themselves look cobbled together and low-tech. The drones appear to be powered by a single propeller that will be familiar to anyone who has flown a model aircraft. They also contained a control package and presumably, a fuel tank built into the body of the drone. However, they appear to have few metal parts (are composed mostly of wood and plastic) and lack even landing wheels. Russia has not shown details of the GPS control system, but insist they were highly advanced machines. “Attacks on the Russian objects in Syria could be received from one of [the] countries with high-technological capabilities of satellite navigation and remote dropping control of professionally assembled improvised explosive devices in assigned coordinates,” Russia’s military said. Previous Is The Tax System In America Fair?